Arlene sold my wife and I our first home in 2006 and being new to the real estate market, we could not have chosen a better realtor. Her outgoing personality, excellent work ethic, patience and willigness to answer our endless questions were a perfect match for our needs. She expertly closed the deal and got the house my wife and I wanted at the price we were willing to pay--in a very inflated market at the time. I would highly recommend her to anyone needing a realtor with excellent professional skills. I first had the pleasure of Arlene Kovalivker acting as my real estate agent for a home purchase in 2004, and have used her services several times recently for additional properties. Arlene has been great in going the extra mile to sort out problems with the deals, and keep things on track during the escrow process. Several times other agents involved have dropped the ball and put the deal in jeopardy, fortunately I had Arlene to clean up the mess. I have been impressed with Arlene's deep knowledge of the different neighborhoods and how that affects me. In many cases she has detailed knowledge of a specific house due to being involved with the sale of that house previously. This has saved a lot of time and effort in finding the exact property I need. 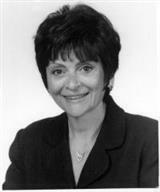 Arlene helped us buy our first home in 1979 and has been involved in every home purchase ever since. We have had excellent experiences with her and have referred her every chance we get. She is extremely knowledgeable about the market and the industry.